Whether its for a romantic holiday to renew your wedding vows or just going solo to get away from the stresses of your job, you will enjoy Indonesia to the fullest as its one of those countries that have something for everyone to enjoy. 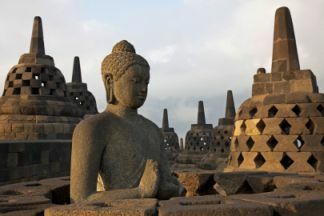 From the get go, Indonesia which is situated in Southeast Asia consists of several towns such as Bali and Lombok, Jakarta and Yogyakarta to name a few. Most tourists flock to Yogyakarta to view the citys intriguing temples. For beautiful beaches and an impressive coastline, it is really hard to beat Bali. Beaches are also present in Lombok, an area which is also the home to a volcano situated on Mount Rinjani. There are over 300 ethnic groups in Indonesia which contributes to the countrys diverse culture. Finally, never leave Indonesia without trying their food. Soto Ayam (chicken soup) and telor pindang (preserved eggs) are some of the popular foods there.